Onigiri—a healthy fast food—is the soul food of the Japanese. Although it may not be as widely recognized as sushi, onigiri is synonymous with the phrase “taste of home,” and is a staple of Japanese comfort food. Its simplicity—just combining rice and toppings—offers endless possibilities without borders. The portable onigiri can be served in all kinds of situations. It’s perfect for bento lunch, as a light snack, or even as party food. Onigiri—a healthy fast food—is the soul food of the Japanese. Although it may not be as widely recognized as sushi, onigiri is synonymous with the phrase “taste of home,” and is a staple of Japanese comfort food. Its simplicity—just combining rice and toppings—offers endless possibilities without borders. The portable onigiri can be served in all kinds of situations. It’s perfect for bento lunch, as a light snack, or even as party food. 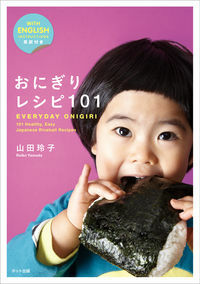 Onigiri is also called “Omusubi,” which in Japanese means to bind or tie. When we make onigiri, we “bind” the rice together with our hands. Similarly, we hold or shake the hands of others when we express ourselves. When onigiri is made by hand, the ball of rice is seasoned with the best ingredients—the warmth and love of the person who makes it—and transforms into a delicious meal. Reiko hosts “Salon de R,” a cooking workshop at her private home in Tokyo. Her 30 years of experience as a food coordinator at a children’s international summer camp inspired the idea of food as the most basic form of diplomacy. She now hosts workshops throughout Japan and internationally in Singapore, Korea, New York City, and Houston. In addition, Reiko develops recipes for companies, and contributes to magazines and radio. Most recently, she launched a Facebook page called “Onigiri Diplomacy Club” to spread the onigiri circle around the world.